Singles Day kicks off its ninth year this weekend, with sales expected to surpass the record US$17.8 billion reported by Alibaba in 2016. But as the world’s biggest 24-hour shopping event grows bigger by the year, concerns mount that what was once a popular novelty among consumers is becoming a bit stale, with discounting too commonplace and too complex. In a recent Nielsen survey, 28 percent of consumers said they are growing tried of online sales carnivals, saying they just give all the discount ads a brief gander and don’t shop impulsively. And 45 percent of respondents expressed doubts about the authenticity of online discounts. It may be a trend in consumer-crazy China. Consumers are gradually moving away from impulse buying to more rational decision-making not solely based on price, Nielsen said. Adam Xu, a partner with PwC’s strategy consulting business Strategy&, said online shopping come-ons have become more complicated as merchants experiment with new ways of attracting customers amid heightened retail competition. "Brands are also becoming more mature while participating in these shopping festivals, they've now grown from pursuing only sales figures from building brand image and acquire new customers," he said. The River Mall of the Bailian Group saw groups of consumers participating in an augmented reality game to win shopping coupons. Every online platform has restrictions and rules on different types of discounts, leaving it to consumers to try to assess what is a bargain and what is not. Still, the show must go on. Single’s Day, which falls on November 11, originated in an obscure holiday started by students at Nanjing University in 1993. Seizing on the symbol of “1” for a solo person and the November date of 11-11, the students used the occasion to celebrate being unattached. Alibaba, the world’s biggest e-commerce company, saw the marketing potential. In 2009, the company began promoting Single’s Day as a shopping celebration. It has since snowballed into the biggest 24-hour shopping day in the world, eclipsing Black Friday in the US. In 2016, Single’s Day sales rose a third from a year earlier, according to Alibaba. Seeking to duplicate that performance, the company’s Tmall and Taobao online platforms will be offering more than 15 million types of products from 140,000 brands. “Pop-up stores” collaborating with Tmall have been set up in 52 shopping malls in 12 cities. Retailers everywhere are trying to cash in on the event. Ten Bailian shopping malls in Shanghai are participating in an augmented reality initiative, where consumers can participate in games to win cash coupons worth at least 100 yuan (US$14.70) to buy goods on Taobao, Tmall and selected offline stores. JD plans to add 300 smart "JD Home" offline retail stores by the end of this year. Shanghai resident Sophy Lu is not an avid shopper, but she said she occasionally hangs out with friends at malls on weekends. "Discounts certainly won’t be the biggest reason for me to decide where to spend my time or money," she said. Another Shanghai office worker, Eva Xu, said she visits apparel and clothing stores before Singles Day so she can see what discounts are offered on items she wants to buy when the annual sale begins Friday at midnight. “It’s also a good opportunity for me to find good deals for my two-year-old son and to find new electrical appliances for my parents,” she said. He said collaboration with bricks-and-mortar retailers is designed to help them restructure their business models and enhance their operations. 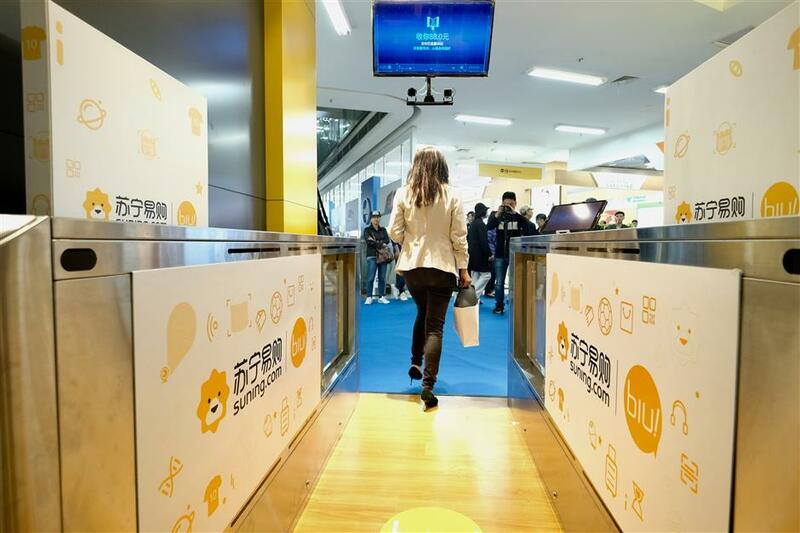 A customer walks through the self-service check-out area at a unmanned retail shop launched by Suning Commerce Group in Shanghai earlier this week. Although Single’s Day has come to be associated with Alibaba, its reach and influence have spread throughout the retailing industry. JD.com said it will open 300 smart "JD Home" retail stores by the end of this year to offer products that are of particular demand in nearby neighborhoods and to serve as a pick up points for online orders. Walmart, the US retailer that owns more than 10 percent of JD.com, is offering a two-week-long sale across its online and offline shops. Up to 50 percent discounts are offered in major merchandise categories like consumer products and home electronics, and 1,000 types of products will be available through Walmart's JD flagship store. Single’s Day provides a plethora of consumer information that retailers can leverage to adjust marketing strategies and target specific groups of buyers. Jiang Pan, vice president of marketing at Johnson & Johnson's personal care business unit, said the company expects sales to double this year because of more accurate targeting of potential buyers. Personal care products like baby shampoo and mouthwash have typically been sold through supermarkets or beauty stores in the past, giving little chance for the company to track consumer behavior. But with Tmall's data capability, Johnson & Johnson will be able to better target those who have purchased adult shampoo or baby products online. For the coming Singles Day, the US-based company is offering a limited edition, tailor-made box of seven bottles of Dabao milk cream lotion. Jiang said it's a good opportunity for the company to build its brand image instead of just relying on scattered discount items across its range of products. 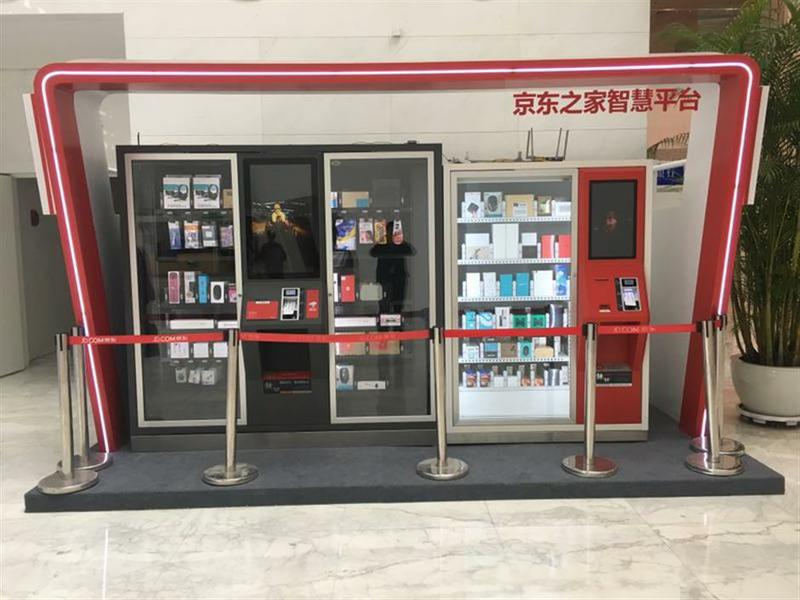 The “biu” store, the latest retail innovation from Suning Commerce Group, deploys facial recognition technology and an automatic check-out function. It was launched in Shanghai for the first time earlier this week. Three more of the stores will be opened in Beijing, Chongqing and Xuzhou by the end of this month. Suning Vice President Fan Zhijun said the company aims to diversify its product line, based on consumer purchasing behavior in different regions. 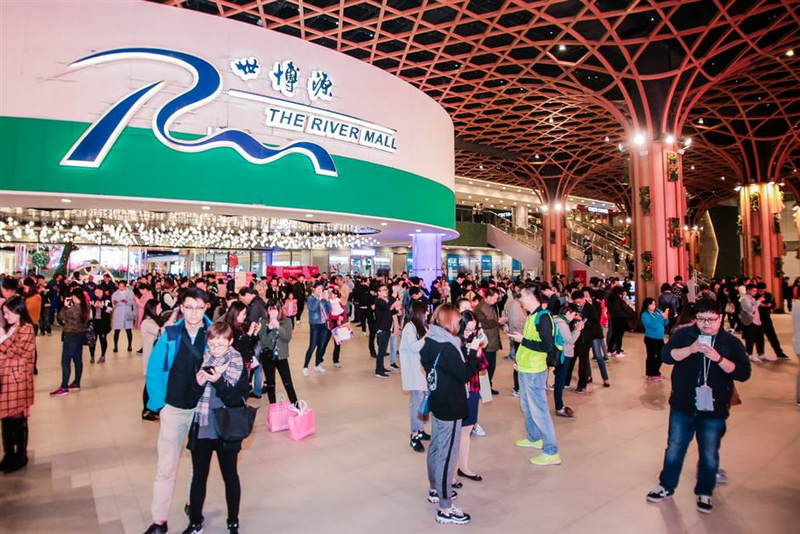 Wanda Group's Internet subsidiary Wanda Internet Technology Group said its online shopping unit Feifan has launched an 11-day sale involving 50 shopping malls in 30 cities, where offline merchants provide special discounts for Feifan users.